GUTS, GRIT & GLORY…..You’ll find these words at our arena, and they are embedded in the cowboy way of life. 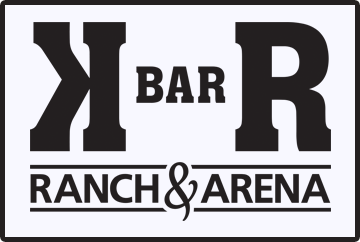 To us here at K BAR R Ranch & Arena, this translates into having the courage to pursue any dream, the relentless determination to hook a spur into it and never let go, and the belief that doing both will result in meaning and happiness in life. Whether we are breeding top pedigree broodmares to our World Champion producing stallion to create horses that were truly born with a “Mission”, or we’re producing rodeos at all levels to promote and strengthen the sport of rodeo, these qualities are at the core of everything we do. From branding to bull riding, and roping to Ranch Horse of the Year titles, the Cowboy Spirit lives on in each of us, and we embrace it. By using solid fundamentals in horsemanship, and scientific knowledge in breeding our champion APHA horses, we hope to create a legacy that positively impacts horses and their handlers. We also believe our arena will be a place for young cowboys and cowgirls, as well as seasoned professionals, to get one step closer to achieving their own Gold Buckle dreams. Every segment of our western lifestyle is built on the same principles of quality and honesty, and we hope to share that with you, our friends, neighbors, and fellow ambassadors of cowboy tradition. So swing open the gate and ride along with us on our journey, we look forward to your company.